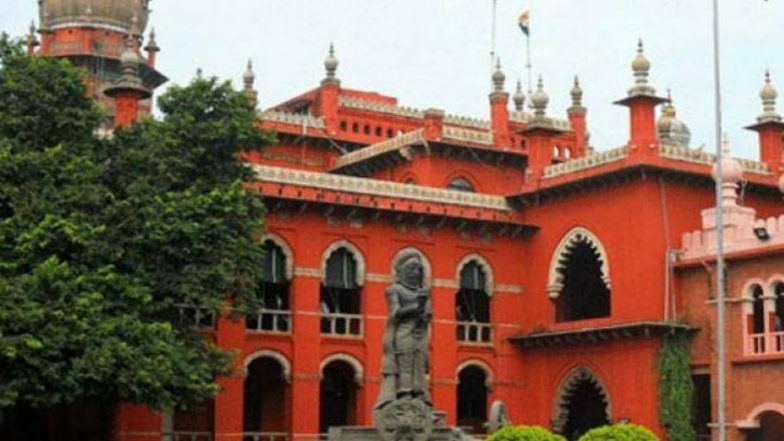 Chennai, April 17: The Madras High Court on Wednesday refrained from Madras High Court upholds decision of Election Commission of India to cancel election to Vellore Lok Sabha constituency, dismisses pleas moved by AIADMK Candidate AC Shanmugam and independent candidate K Sugumar. Vellore Lok Sabha Elections Cancelled After Cash Seizures From DMK Candidate's Office. The Madras High Court on Wednesday refrained from staying the President's approval to the Election Commission's order which defers the Lok Sabha elections in Tamil Nadu's Vellore constituency. The pleas challenging the poll's cancellation were moved by AIADMK candidate AC Shanmugam and independent aspirant K Sugumar. The petitioners had demanded the conduct of polls as per the schedule, while arguing that the EC should not punish all the candidates if cash was seized from premises linked to the DMK nominee. They instead asked the court to hold the polls as per the schedule, while disqualifying the candidature of DMK's Kathur Anand. Meanwhile, the party's candidate from Vellore, Kathir Anand, has written a letter to the EC alleging that the election watchdog is toeing in line with the BJP to help their ally AIADMK. In his letter, Anand alleged that Shanmugam was engaged in large scale cash distribution.